Rigardu is moving on: bye bye Šid – hello again, Subotica! - Rigardu e.V. Since mid-April 2017, we of Rigardu are working in Šid on the Serbo-Croatian Border. The reason for our move to Šid (from Subotica, where we were active before) was the increasing distress of refugees, which sleep unsheltered in the fields around the city and scarcely receive any stateside aid. 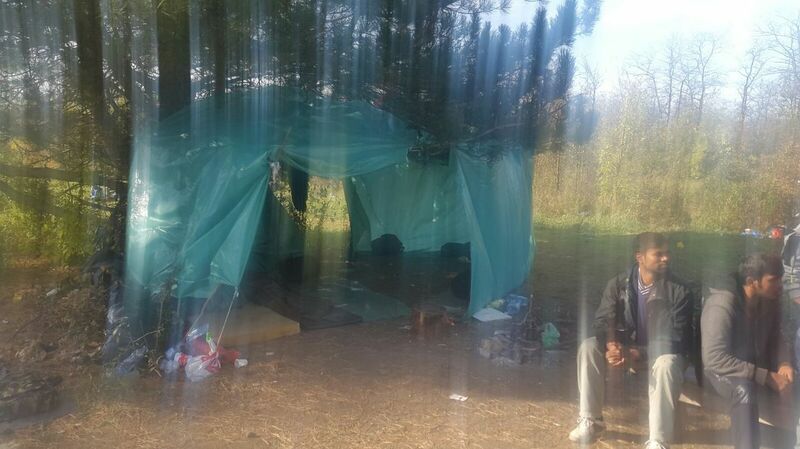 Furthermore, the camp in Subotica had been evicted by the police, bringing our work there to an end. 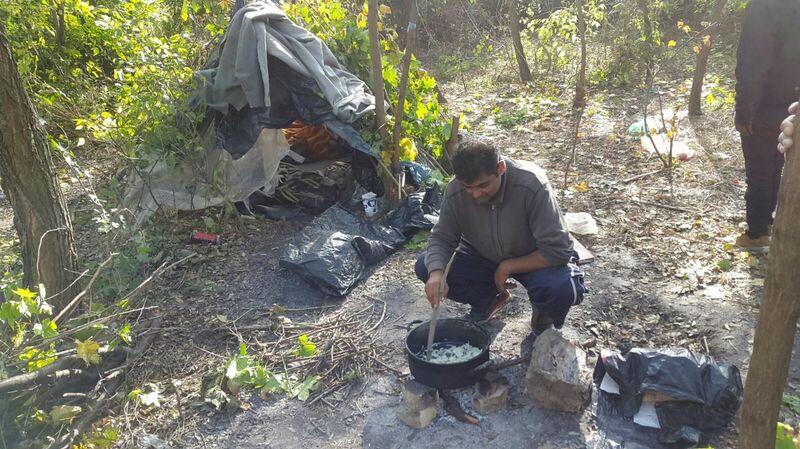 About 100-200 refugees living in Šid outside of official camps still gather every day to receive support provided by volunteers. As most will know by now, Rigardu’s main project in Šid is the provision of hygienic care – with our mobile shower system we can provide hot showers, including hygiene articles for body care as well as freshly washed and disinfected clothing for changing. Furthermore, we distribute clean drinking water and provide a charging station for 50 phones in the morning and evening. These offers still take place every second day. After realizing the project in Šid for several months, cooperating with other organizations in Serbia, we can assert that we contribute successfully to the improvement of conditions here. Some time ago, Médecins Sans Frontieres (Doctors Without Borders) and BelgrAid, who are also working in Serbia, have requested us to inspect the worsening conditions in Subotica (on the Hungarian border) and Sombor (close to both the Hungarian and Croatian border) and to consider whether we had the capacities to cater for eventual needs at these locations. We assembled a team and spent a few days in the two towns to get a grasp on the situation and find out what refugees need there. The impressions we took from Subotica and Sombor left us speechless. 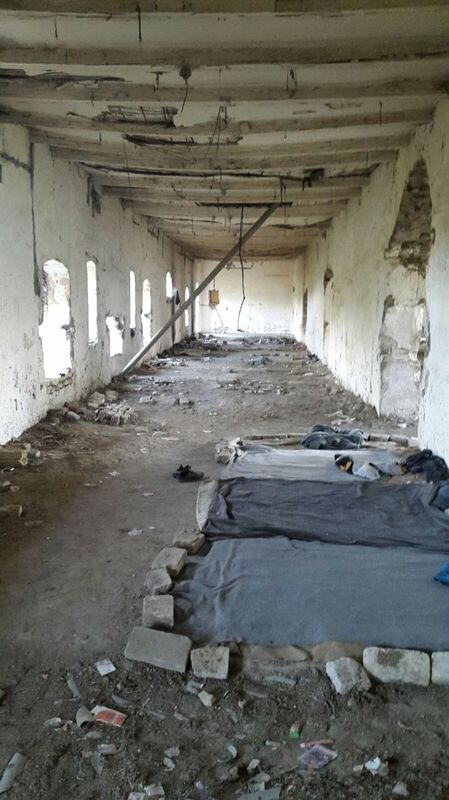 Up to 300 displaced persons are currently living in Subotica alone without any hygienic care at all, while there are up to 150 more in Sombor who are lacking pretty much everything. Compared to the situation in Šid, that is more than three times as many refugees with way less support and provision. Due to the near impossible border crossing from Šid to Croatia, many refugees want to try their luck (again) on the border to Hungary, which accounts for the moving of many people to Subotica as well as Sombor. Through in-depth conversations and interviews we could confirm the impression we got at first sight: Many persons have not had access to showers in months, not to speak of body care products, fresh clothes or a sufficient amount of drinking water. Which means, that they are lacking exactly what we are offering in Šid every day. Back in Šid we sat together with our coordinating team and discussed different possibilities of setting up support in Subotica and Sombor. We had several phone conferences with the team back in Germany as well as with other organizations here on the ground to find a common solution for the rather extreme conditions in the two towns. Finally we decided to move back to Subotica in order to continue our project there with a brand new shower system. Since we had invested a good deal of time and work in the project in Šid, we wanted to make sure that hygienic care would still be guaranteed after we left the town. With the No Name Kitchen, Rigardu has found a partner that will take over and support the project with its different components as long as it is needed. We took the decision to move back to Subotica after careful deliberation; in order to provide our support there and in Sombor to those that currently have nothing of the sort. With a new and motivated team, a new shower system (Thanks to all supporters! ), new headquarters and many new ideas to improve the situation of refugees, we launch into our new project – Subotica and Sombor!